When you are looking to invest in your car to improve the driving experience and add more value, you do not have to think twice. Invest in solar automotive car window tinting film. It will make your vehicle look good and the solar film will provide you with solar radiation protection to make the vehicle more comfortable, energy efficient and provide protection from smash and grab attacks and damaging UV rays. The design of the car window tinting films in Johannesburg, Pretoria, Durban and Western Cape enables it to reject up to 61% of the total solar heat. This rejection makes the car cooler and lowers the energy consumption. Also, it reduces the annoying glare while driving on sunny days. UV rays are very harmful to the plastics, premature leathers, and fabrics of the car. Discolouration and fading are common phenomena because of UV rays. Window tinting works like sunscreen on the car window. These films can reject around 99% of the UV rays coming from the sun. Car windows can protect you from the sunburn in Johannesburg, Pretoria, Durban and Western Cape. However, protection from UV rays is not possible by normal windows. Scientist proved that UV rays which are accountable for premature ageing and skin cancer can transmit through regular car windows. These UV rays are silent in nature. They can easily penetrate deep in into the skin and increase the rate of ageing, wrinkles, and even skin cancer. Statistics show that South African drivers have been attacked by skin cancer mostly on their left side. Left side is usually exposed to the sun while driving. The danger of skin cancer increases due to sun exposures. However, drivers experience a particular type of skin cancer. Cumulative sun exposure is the main reason for that. So why should you be vulnerable? You can mitigate the risk easily. Car window tinting can block 99% of harmful UV rays and reduce the chance of skin cancer. There are different coloured window films available in the market. You can choose one that goes with your vehicle’s exterior. Darker tinting and colours will ensure more privacy. However, it is better to check the local rules and laws regarding the use of tinting. Shapes and builds of all cars are different. The tinting service provider will ask you about your car and model if they do not see it. They try to figure out the amount of material and labour that will be required to provide you with the service. After that, they will charge accordingly or give you an approximate. For example, some cars have curved and steep windows. Tinting of those cars will require much work and they will demand a higher price. Usually, the amount depends largely on the area of the windows. There are varieties of tinting films to choose from. Again, the price depends on what you choose. You can choose the cheapest or you can choose a higher priced one. The performance also will be different. It is not that the cheaper films will be bad looking. They are not in the beginning. However, you may see bubbles, colour shifting and poor heat rejection within a short period of time. Performance warranties vary depending on the materials and service providers. It is better to inquire about it before paying the money. Warranties can be for lifelong or can be for six months also. The damages covered by warrantees are also important. A standard warranty covers bubbling, peeling, cracking and glazing. You might also find a special warranty like “Color Safety Warranty” This ensures that if there is any problem with colour, they will replace the film. Most valuable kind of warranty is one which is “Transferable“. Even if you sell your vehicle, the warranty will be valid for this kind. 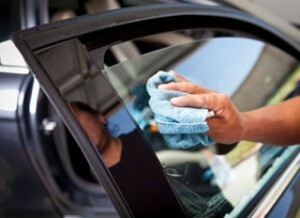 Usually, the average time required to tint a two or four-door car is around 2.o – 2.5 hours. The time required for cleaning, drying is also included in this. It will be better if you allow some time. It might help you to get the best result. How does car window tinting work? Usually, window tint is applied in the inside of the window in Johannesburg, Pretoria, Durban and Western Cape. The unique adhesive system of window films bonds it with the window glass. Does the tint have to be really dark to be effective? People believe that darker window films are more effective. That is not the truth. There are different window tinting films available depending on their ability to reject solar heat and light transmission. The colour is not the single fact that affects the performance and efficiency. How long will window tinting film Last? It depends on the materials and the installer. A window film of good materials and installed with a trained installer can last for many years. Guarantees usually depend on the suppliers. What if my car windows are already tinted and I need new window film? Car window films and tints can be replaced. If you are willing to install a new one, you will have to replace the old one in the case of existing window tint. The service provider will charge an extra amount of money for replacing. Also, you will have to leave your car for a longer period of time. You can also read more on how to remove window tint. What should I expect after my car windows are tinted? You must keep some issues I mind. Rolling the windows for a day or two is a good practice after tinting. Water that is used when tinting can gather in the lower seals. This practice will help you to overcome the problem. Window tint in Johannesburg, Pretoria, Durban and Western Cape might look wet, hazing and lumpy for few days. It depends on the weather and the type of film installed.